Do you know how many countries are in our world? Could you find the UK on a map? What kinds of maps are there, and how do you read them? If you’re stumped, you need this atlas! 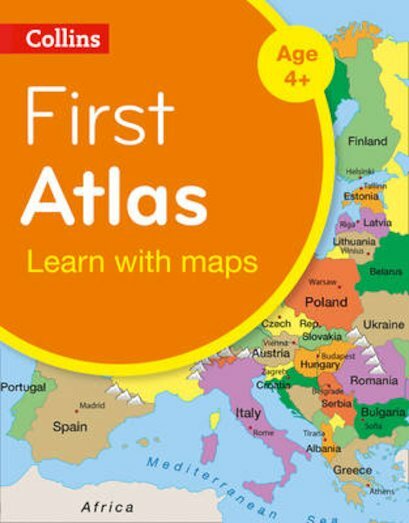 Made especially for little learners aged 4-7, it helps you take your first steps using maps. You’ll start by exploring your local area in photos, finding out how it can be shown on a simple map. Then you’ll move beyond your area, looking at regional, national, continental and world maps. Each map has clear labels to help you find key features, plus easy-read sentences to explain what you’re looking at.